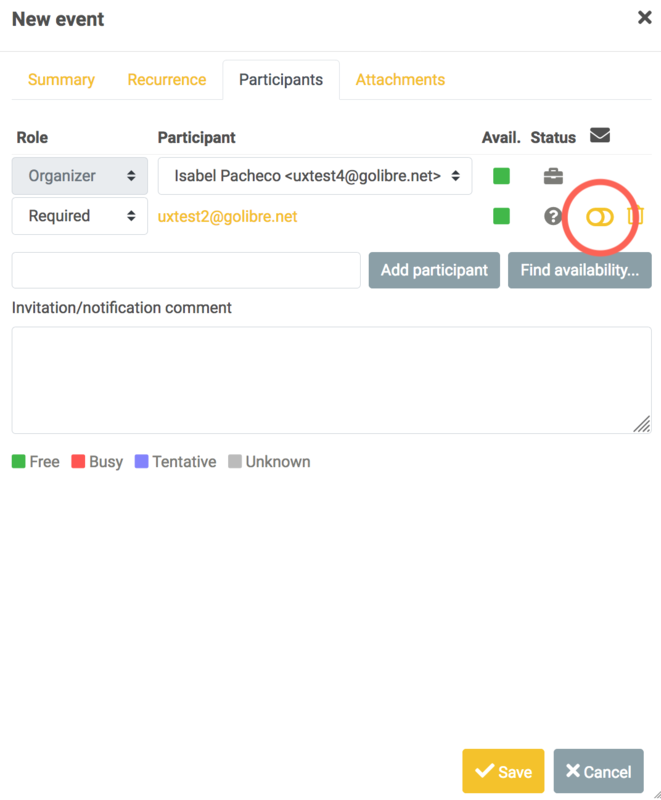 When you create an event and add an participant there is the option to not send an invitation to the particpant. Thus the person doesn't know you created an event with that person. No message for the participant. No entry in the calendar. There is no reason to have a meeting without the person with that you're having the meeting knowing there is a meeting. We would like to remove that possibility and always send an invitation when adding participants. In order not to confuse it would be necessary to change the lable of the button "add participant" to "Invite participant" - otherwise people might not understand that an email will be send. When changing the event later, there is also the option to notify participants about the change. This should be standard and not possible to change. We wwould like this option to be removed and instead have a text next to the save button which informs the person that all the participants are going to be informed. bohlender lowered the priority of this task from High to Normal. 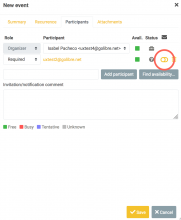 A.Spiesberger renamed this task from can create event with participant without telling them to always invite/notify participants of events. There's actually a config option (calendar_itip_send_option) that allows to change the behavior as requested. Maybe we should consider changing the default setting. Do we get into compatibility issues when we don't show this in the UI and have notify participants on by default in the background? It's not about compatibility. At least nothing comes to my mind regarding this. However, I'm not so sure about "There is no reason to have a meeting without the person with that you're having the meeting knowing there is a meeting".